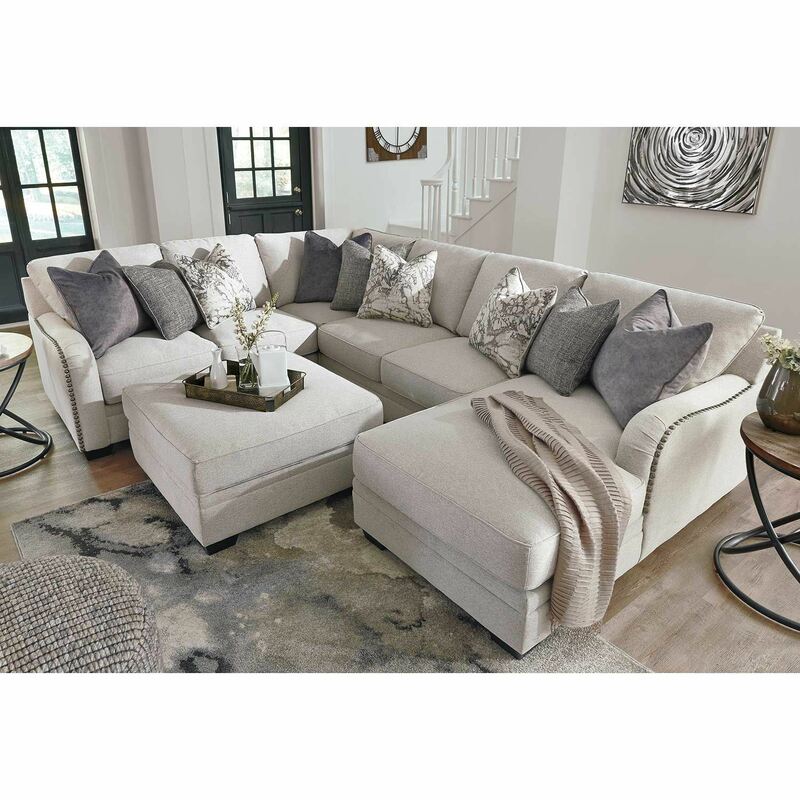 Dellara 4PC Sectional with LAF Chaise from Ashley Furniture. 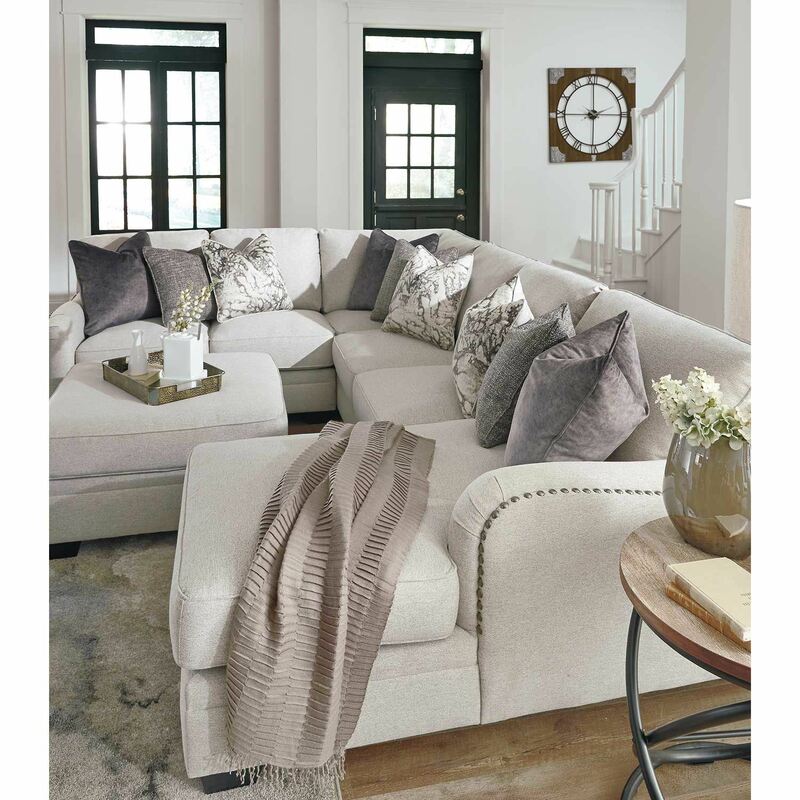 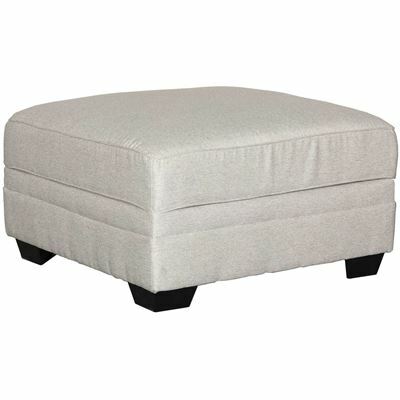 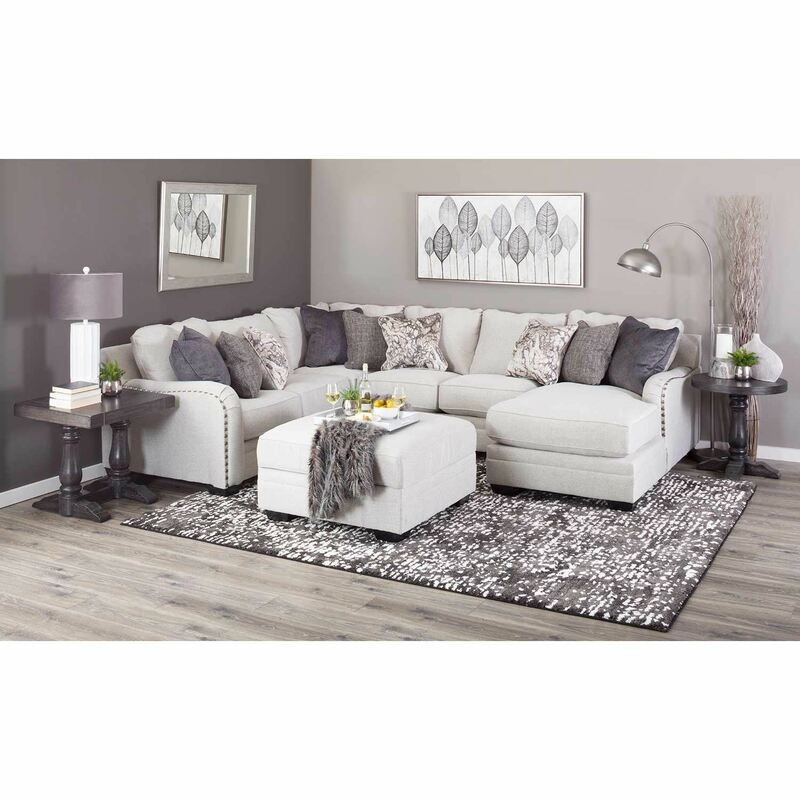 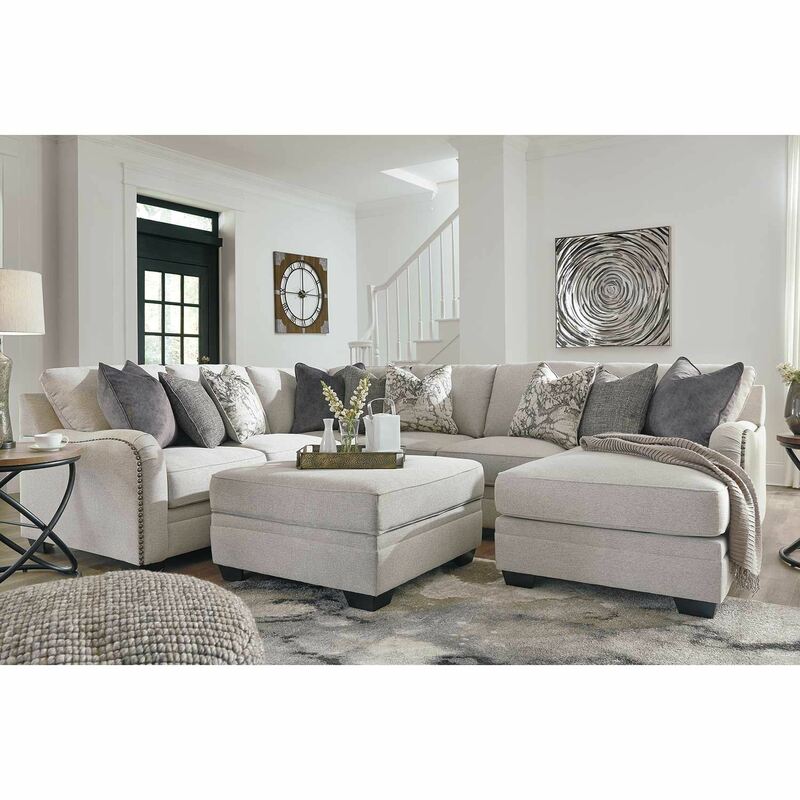 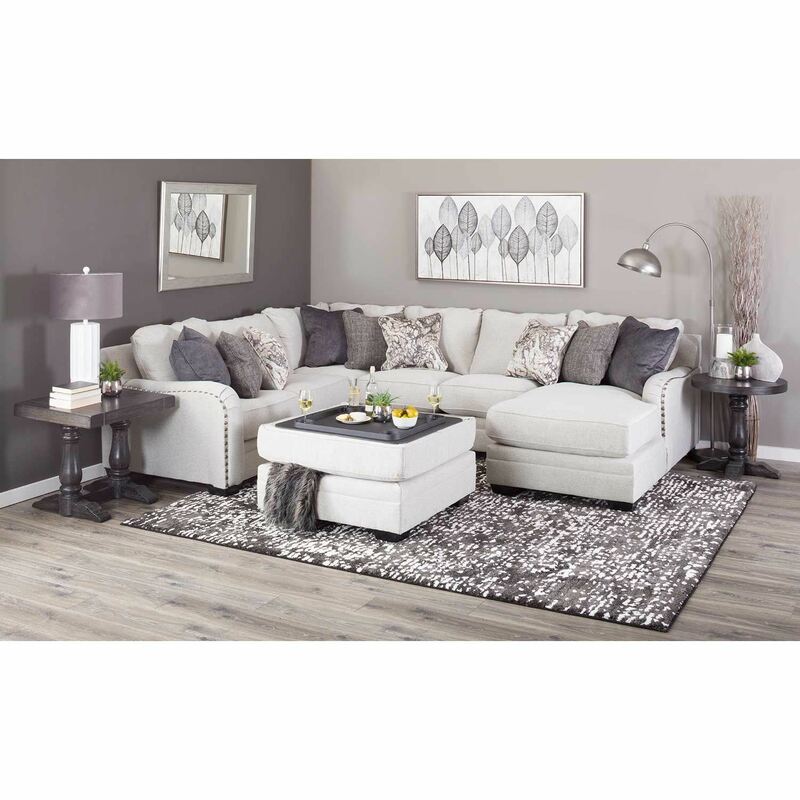 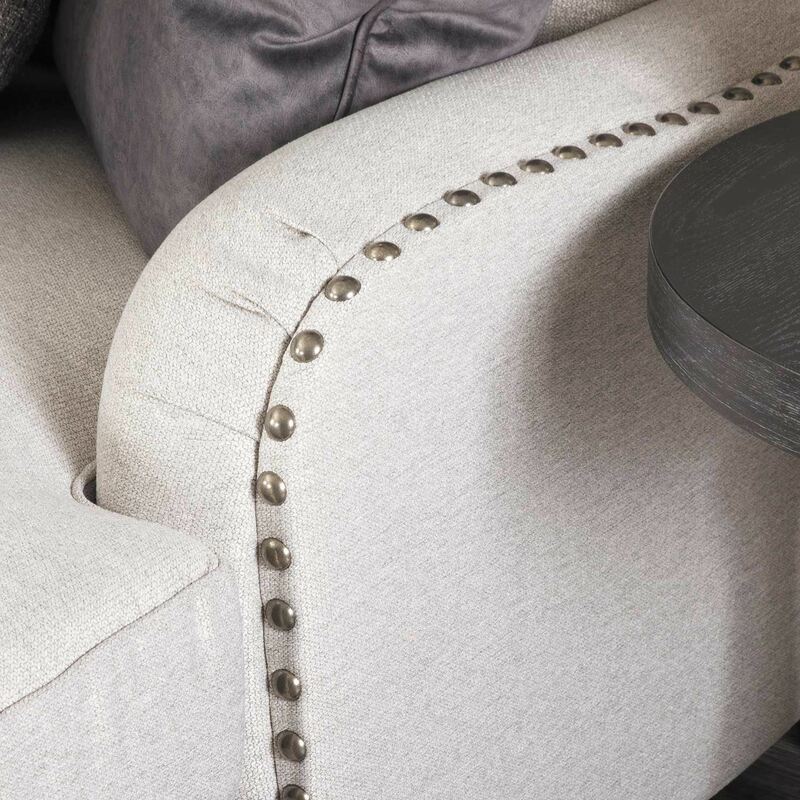 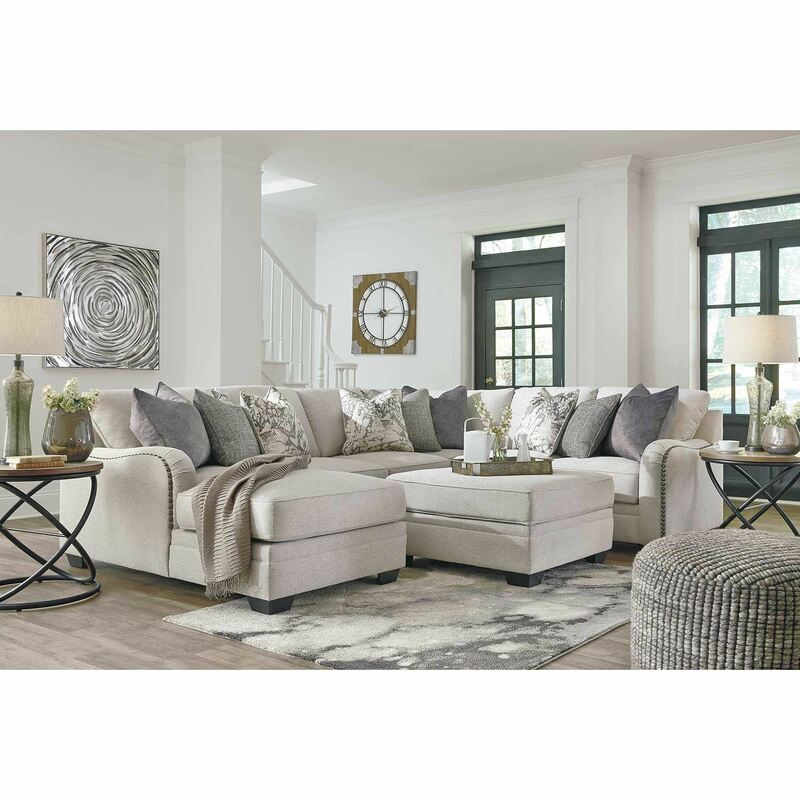 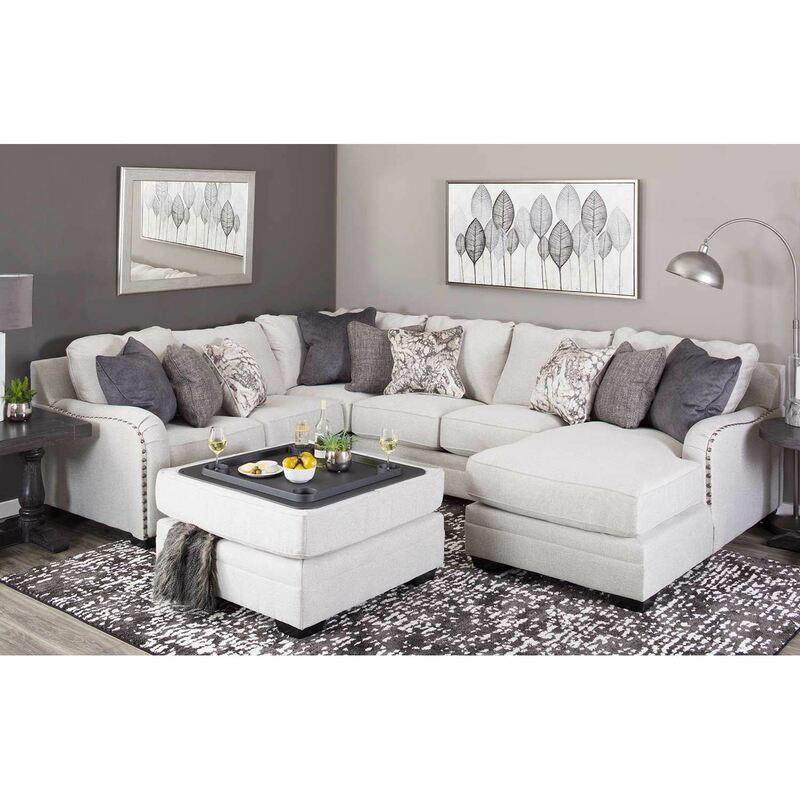 Sectional is covered in a 100% polyester fabric in a chalk cover. 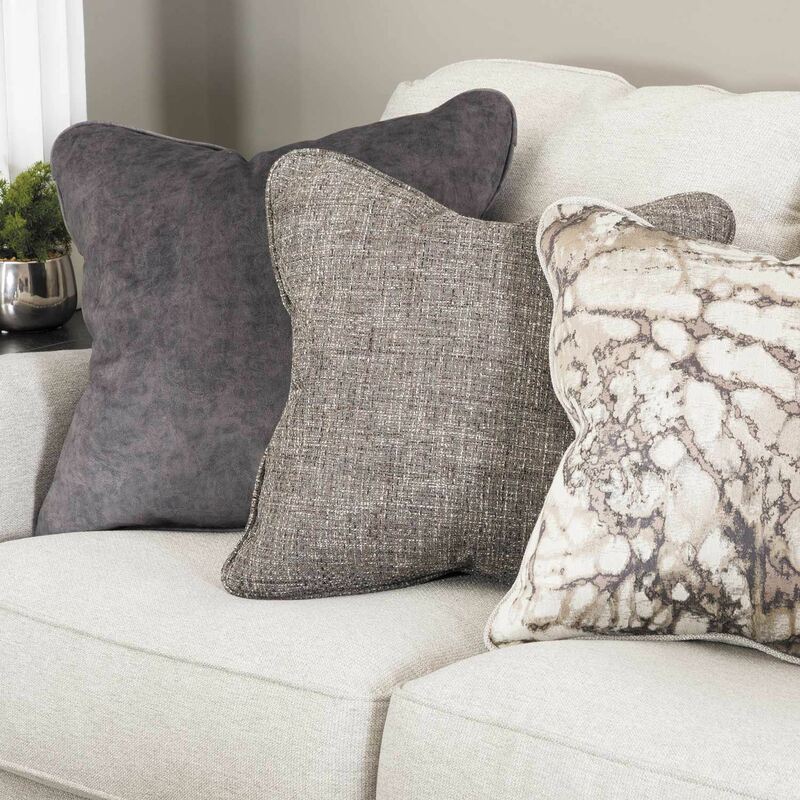 Includes 3 solid, 3 gray and 3 marble pillows, not sold separately. 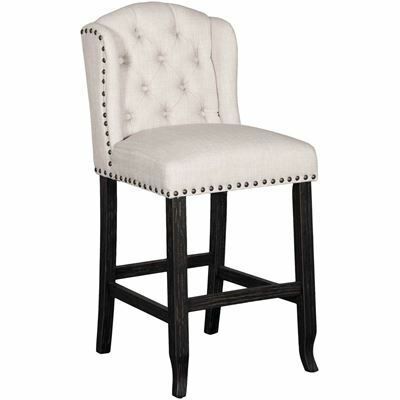 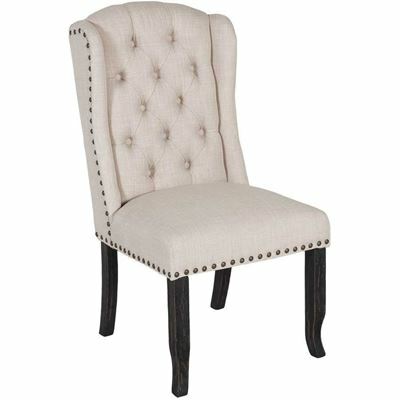 Features include rolled arms and nail head trim. 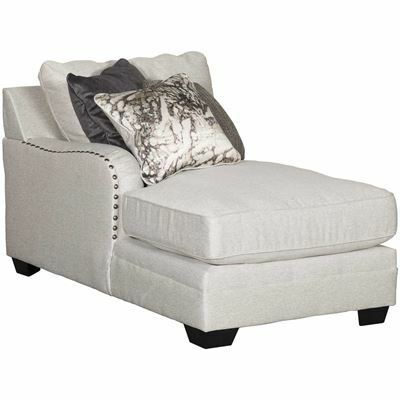 Sectional includes LAF chaise, armless loveseat, wedge, and RAF loveseat.